Sometimes there is no denying the pleasure of an excellent cup of tea. I took myself on an outing this week to the local Victorian tea room and was provided with the most perfect cup of Japanese Green Sencha. 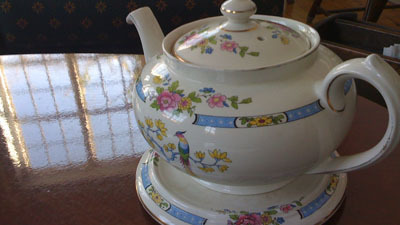 It was delicate and light, with a slight floral overtone and beautifully served in green porcelain. It was such a treat. This entry was posted in Food and tagged tea. Bookmark the permalink.